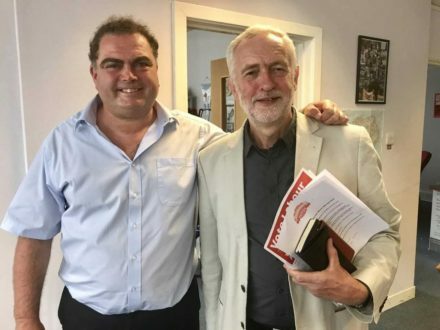 A pro-Corbyn trade union leader has submitted an emergency motion to Labour conference that would commit the party to opposing any Brexit deal that would end free movement. Cortes was one of Jeremy Corbyn’s earliest backers and his union is affiliated to Momentum. The motion is likely to be controversial, however, as it would lock the Labour leadership’s hands on a Brexit deal. Whilst the frontbench position on Brexit has softened recently, to favouring an extended transitional arrangement in the single market, Keir Starmer has ruled out staying in the bloc indefinitely unless a new deal on free movement could be struck. Cortes added: “Theresa May is about to further embarrass our country abroad today when she attempts to lay out the terms of her Tory Brexit in Florence. Whose crazy idea was it to lay out terms of British decline in a city that is the symbol of the European renaissance?. “Do the Tories not get that Europe will get along just fine without us? But British workers are already being burned on the alter of Tory Brexit with rising costs and falling real wages and the by the loss of our EU workers which is exacerbating problems in our public services and food and agricultural industries. If the Tories get away with ending free movement they will turn Britain into a jail for British workers because the terms of Tory Brexit won’t just lock EU workers out, they’ll jail British workers in. A shock poll released today suggests that if the EU referendum rerun, Remain would win. 4) Chaos within the Brexit department as another senior civil servant departs whilst the Brexit minister has been sidelined. Conference strongly condemns those who blame migrant workers for low wages. It’s unscrupulous bosses and our Westminister engineered deregulated Labour market who are at fault – not migrants. • Oppose any deal which doesn’t allow the continuation of freedom of movement between the European Economic Area and the UK and vice verse. Why not come to our rally with TSSA for free movement at Labour conference? Sunday, 9pm, Albert Room in The Grand Hotel – with free drinks including Trade Union pale ale. Speakers include Mayor of London Sadiq Khan, Irish Labour leader Brendan Howlin, Alison McGovern MP and Manuel Cortes.